8 great 3 yard quilt designs perfect for those special little people in your life! 8 great 3-yard patterns that give you step-by-step instructions for making up awesome quilts in just 6 to 8 hours. 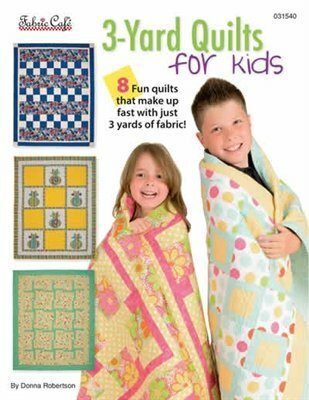 Each pattern shows you how to make fun lap-size quilts, and three also include instructions with diagrams for making twin-size toppers.